Deciding to get rid of an old car is not always easy. If your car is in good condition, you may want to get a few more miles out of it or to sell it for cash before it devalues too much. If it's roadworthy but on its last legs you may want to use it until it dies or you could sell it to avoid costly repairs. If you've got an old clunker that doesn't run, the decision might be easier. Regardless of your situation, once you're ready to get rid of your old car, there are several ways to do it. Here's a look at the six most common. Old cars that are in decent working condition generally have a resale value. Getting fair market value for your vehicle largely depends on putting your old car in front of as many potential buyers as possible. This generally means selling it yourself. If getting rid of your car quickly is more important than the selling price, selling it to or trading it into a dealer is a good option. A third option is to sell the car under consignment. However you sell your car, it's important to prepare the vehicle first. This includes detailing the car so it looks its best -- even if it's old and battered, a little effort into sprucing up its appearance could net you more money. You may also want to complete any minor repairs; the fewer leaks and noises the car has, the more likely it is that you'll get a reasonable price for it. Also, make sure you have your title ready to transfer at the time of sale. While it requires the most work, selling an old car yourself also gives you the most control over the selling price. While traditional selling methods, such as listing the car in the newspaper or auto retail magazines, are still relevant, selling online reaches more potential buyers and it's where most people do their searching now. Most listing websites charge a fee to sell a vehicle, but it is often minimal, especially if your old car is still worth thousands of dollars. Depending on the type of car you have, the condition it is in and the area where you live, selling a car yourself can happen quickly or draw on for weeks. Craigslist is also a great resource (and it's free). 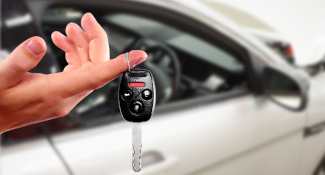 Selling your car to a dealer can be ideal if you want to unload your car quickly. Be aware, however, that the price that dealers are willing to pay is almost always going to be less than the fair market value for a vehicle. This, of course, is because the dealer needs to turn around and clean, market and sell the car for a profit. In many ways, consignment splits the difference between selling a car yourself and selling it to a dealer. Consignment shifts the workload of listing and selling the car to a third party, often a car dealer. In return, this seller takes a cut of the final selling price before passing the rest to you. This can either be a flat fee or a percentage of the sale price. Instead of selling your old car, you can also trade it in while purchasing a new or pre-owned vehicle. Even old junkers sometimes have more trade-in value than you'd think. Look for dealerships having trade-in deals claiming they accept any trade-in, even if the car is not running. 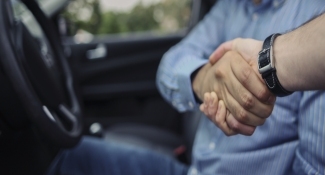 Some dealers even offer a minimum trade-in amount, so it's possible you can get greater value than selling the car privately. If your old car is in better condition, the relative value of a trade-in may be less. 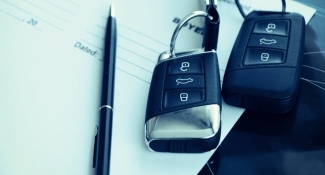 However, as is the case when selling to a dealer, trading a vehicle in is generally a streamlined process that gets rid of your vehicle with little work on your part. If you've decided your old car has reached the end of its life, or you simply don't want to deal with selling it, consider donating the car to charity. Numerous non-profit organizations accept cars in the U.S., both at a national level and locally. Most take cars whether they are roadworthy or not. The donation process tends to be quick, with either an online form or phone call required to initiate pickup of your old vehicle. Once the pick up is arranged, the organization arranges free towing or driver pickup of your vehicle. In return for your donation, you receive a receipt that you can use to claim a tax deduction for the market value of the vehicle, up to a certain amount. If your old car has reached the end of its driving days, you can sell its usable parts, particularly if that vehicle has a strong enthusiast following or if it's older and original parts are hard to find. Parting out a vehicle does require the knowledge and ability to remove parts. You also have to have space to store the vehicle while parting is in process. The easiest way to sell parts is online via auction websites or vehicle-specific message boards. Depending on your expertise and access to tools, once all the car parts are sold, you can remove the remaining scrap metal for sale. Anything left, such as plastic parts and unsellable items, can be taken to the landfill. You can also sell selected parts and then take the remaining vehicle to a scrap yard. Another way to get rid of your old car is to work with a junk car removal service. Depending on where you live, and the type of car you have, you the service pays you for your car and removes it with a tow truck. In some circumstances, you may not receive any money for your car but towing is free. Occasionally you may have to pay the junkyard to take your old car. Some models of cars are frequently rebuilt by enthusiasts. If your old car fits this description, even if it is not worth anything, you can try to give it away. Your car's new owner may rebuild your car, or combine it with one or two other cars of the same make and model. Unlike listing a car for sale, many newspapers and online listings do not charge to list free items.